I’ll admit – I used to screen cheat. Back in the days where I gamed on the couch with friends, I just couldn’t help glance over and quickly scan over my opponents screen for valuable information. Eventually I became so proficient at it, I did it entirely subconsciously. 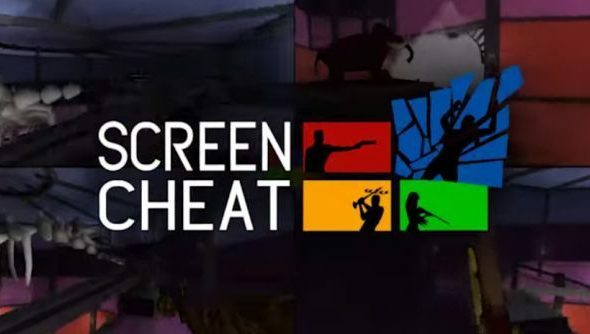 Today I can bring back that hidden talent to lay waste to my foes in a new game, aptly dubbed Screencheat. It’s a game where you’re actually encouraged to look at your friends screen in order to win. Why you ask? Well because you’re both invisible. Screencheat was conceived by indie developers Samurai Punk at the 2014 Global Game Jam, where it actually received multiple awards. It pays homage to the great split-screen shooters of old such as Goldeneye, Perfect Dark and Halo. The game is in open beta, so you can pop over here and give it a whirl today. Are you a screen cheater?